An expression is a tag name or an equation that returns a numeric value, Boolean (like true or false) value, or text (string). For expressions that return Boolean values, 1 and other non-zero values denoted as True, and zero is denoted as False. Expressions allow defined and represent a more meaningful notation from data that are gathered from your end devices by comparing it to other values, combining it with other values, or creating cause-effect relationships between values. Expression such as tags values, logical operators, bit-wise operators and mathematical functions, all of which return numeric values. While relational and logical operators (such as IF-THEN-ELSE) return true/false values. Expressions that use conditional expression (such as IF-THEN-ELSE) logic can return either numeric values, Boolean values or text, depending on how the expression is built. 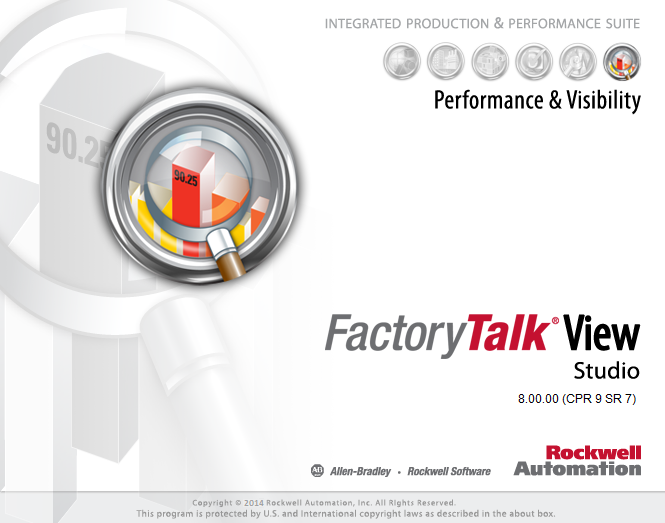 A quick reference article on FactoryTalk View SE expression operators and math functions. The expression is too large. The maximum compiled size for an expression is 8 KB. The expression attempts to compare a string to a number. 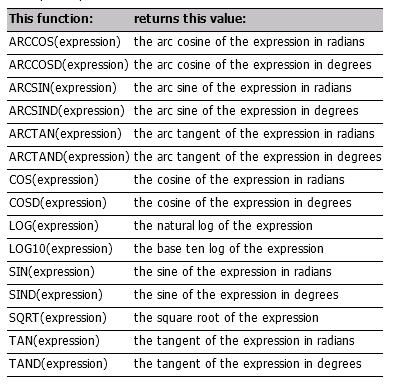 The expression attempts to perform an invalid operation on a string. 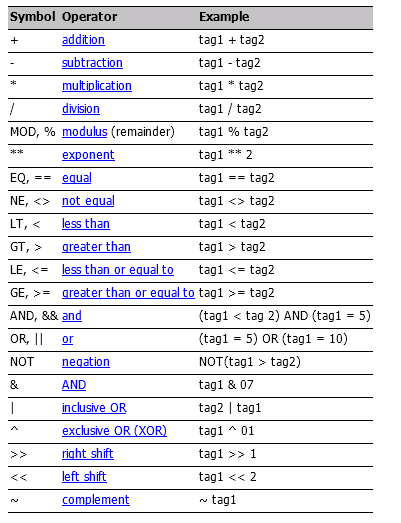 You can only use string tags as operands with the plus (+) arithmetic operator and with relational operators. Adding two strings yields a string that is too long. The maximum string length is 82 characters. The expression contains an invalid instruction. In this case, the probable cause is file corruption. Recreate the run-time project. A tag in the expression is uninitialized, the value is too old (stale), or the value is in error. The expression attempts to perform an invalid operation on a floating point number. You cannot perform modulus or bitwise operations on floating point numbers. The expression attempts to divide by zero or perform modulus with zero in the denominator. The expression attempts to calculate the square root of a negative number.